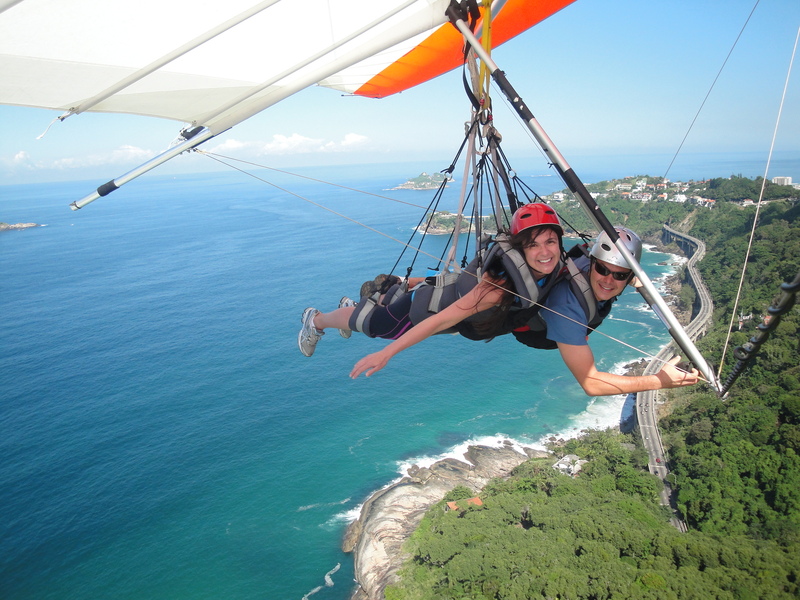 • Level IV (advanced) Hangliding and Paragliding. Graduated in 1995, license number n 1049-A Brazilian Association of Tandem Flight (ABVL) and Rio de Janeiro Tandem Flight Association n 702 PBCVL Hanglide and n 649 Paraglide (AVLRJ). • Among 80 Tandem Flight instructors that operate in São Conrado only 03 are able to fly in both categories (Hanglide and Paraglide) and Renato is one of them. • Ultralight Pilot: Graduated in the year 2000, license n2490, Certificate n3743 of the Brazilian Association of ULTRALIGHT (ABUL) ULM PARAMOTOR category. • SKYDIVER: Graduated in 1994, license n18425 of the Brazilian Federation of Skydiving (CBP) and license n2719 of the Rio de Janeiro Federation of Skydiving (FEPARJ). • Fluent in English and French, graduated by Wizard English Course. • Cambuquira – Participação no Campeonato Brasileiro de Parapente 2006 vice-campeão cat. Serial. • Castelo – Participação no Campeonato Brasileiro de Parapente em 2005, 2006 e 2007 sexto colocado nos três anos. • Brasília- Campeonato Brasileiro de Asa Delta participação em 2002 e 2005.